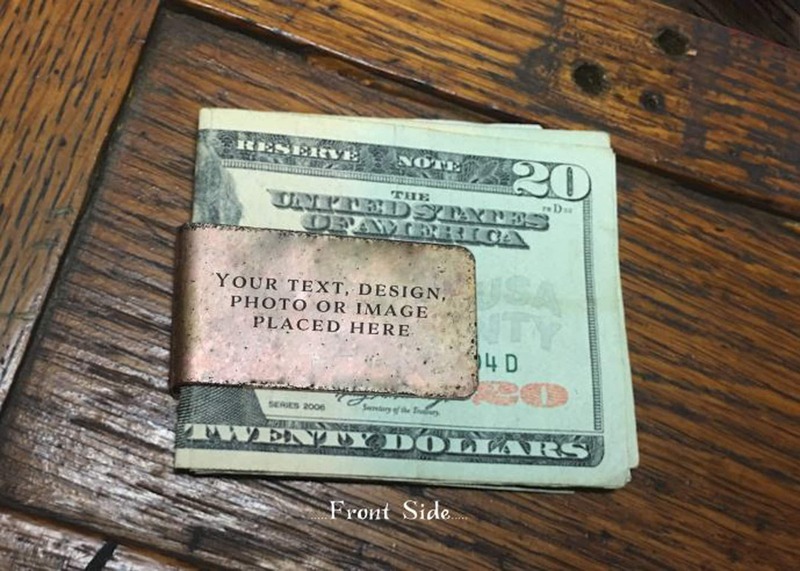 Thank you for visiting Custom Copper Money Clip - a Copper Art Designs production. A wonderful personalized gift with an elegant way of identifying your text, design, photo or image. 2. 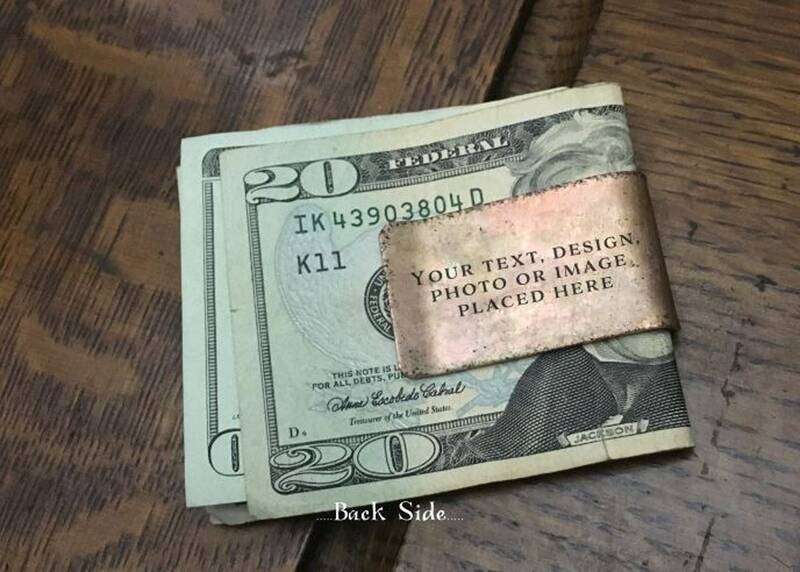 CUSTOM / PERSONALIZED: Please send me a message with the design, text, photo or image that you would like to have it displayed on your Copper Money Clip. I will attempt to incorporate it into the design as best that I can. Please Note: It is really important to send design, photo/image using the highest DPI (dots per inch) that you can achieve. I typically like to work with 300-600 DPI to capture the details. Please send it to me via Etsy convo or juan [!at] vbcopper.com . 3. PROOFING: A digital copper draft proof of your Copper Money Clip Artwork will be emailed to you for review and approval within two (2) days of submitting your order. 4. APPROVAL: After your approval of the digital copper draft proof of the Copper Money Clip Artwork I will then have the design prepped for etching. 5. PRODUCTION: This item is handmade to order. The Copper Money Clip Artwork and Patinas goes through a series of processes and it takes time. Our time frame for processing varies depending on our current order volume. Our design, etching and final presentation production time is generally 3-5 days depending on the size and design complexity of your Copper Money Clip Artwork. Please allow an additional 2-5 business days for shipping. 6 ADDITIONAL INFORMATION: Copper Money Clip Artwork will arrive in an eco-friendly cloth bag, ready for gift giving! Please consider any copyright infringements that may occur with your supplied artwork. It is the buyers responsibility to consider the property rights in all cases. Extremely well made, quick shipping, and truly great customer service. Juan answered every single one of my questions without hesitation and once he knew what I wanted, sent pictures on what it would look like upon completion. When I received the money clips, they were unique and turned out better than I could’ve imagined. Highly recommend his services to anyone looking for top quality work.